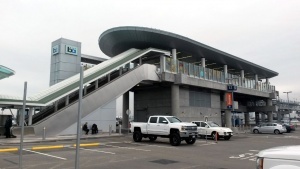 This station is located across the driveway from the terminals at Oakland International Airport. 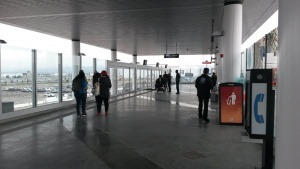 This station is served by automated Coliseum - Oakland Airport trains to Coliseum Station, where riders can transfer to other lines to the rest of the system. This station features a single platform and has no ticket machines nor fare gates. Fares to/from the airport are collected at Coliseum Station when transferring between trains and other lines. This page was last edited on 18 January 2019, at 22:33.